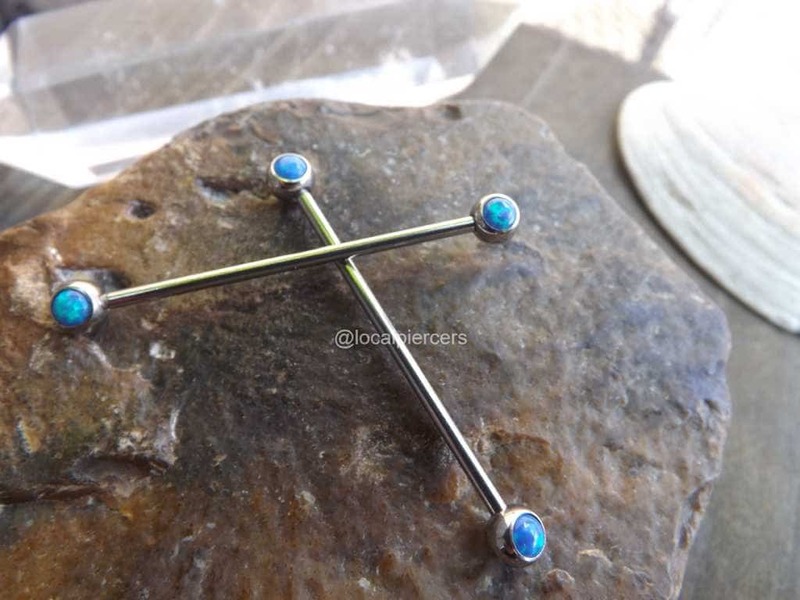 Add a little sparkle to your piercing today with one of these lovely bars. 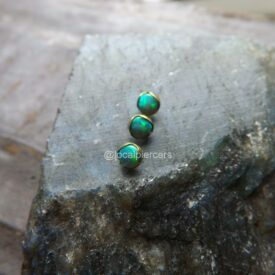 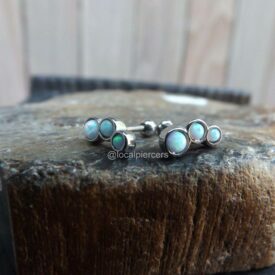 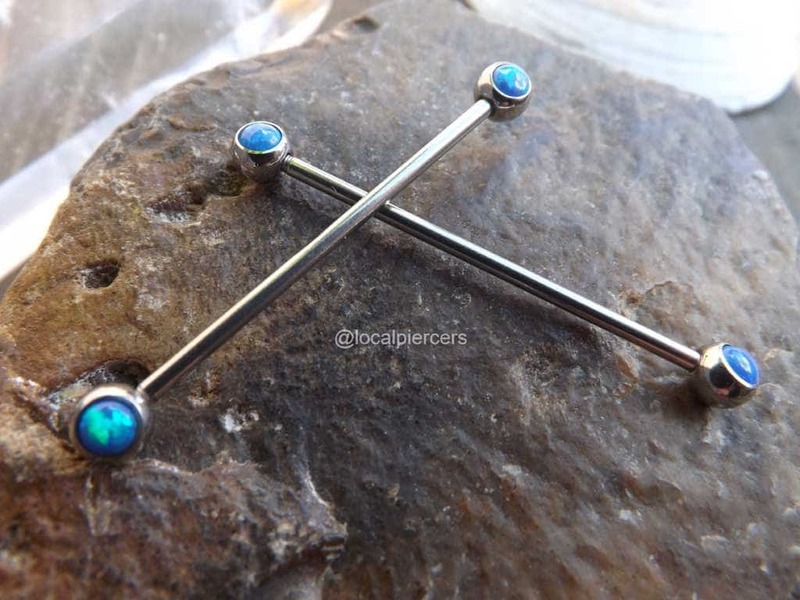 Each barbell comes with a radiant blue fire opal on each end, making your piercing look both chic and elegant. 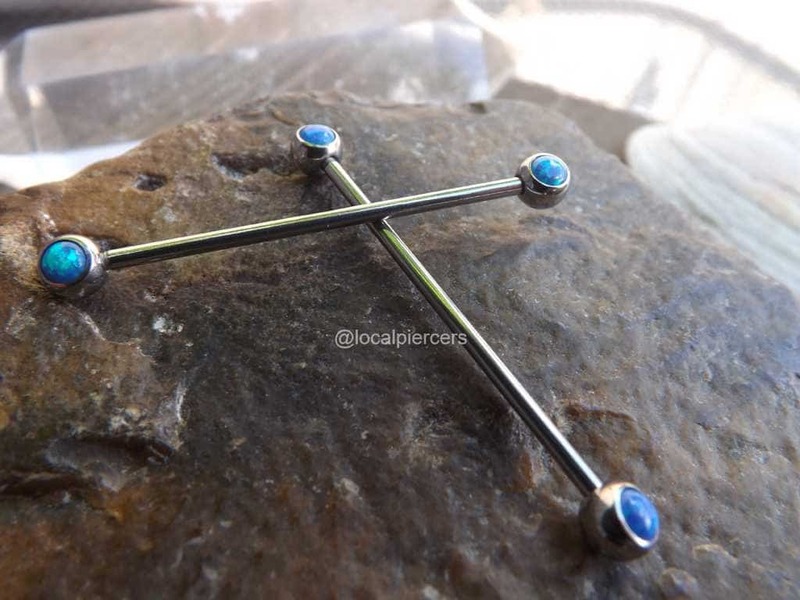 They’re perfect for healed piercings. 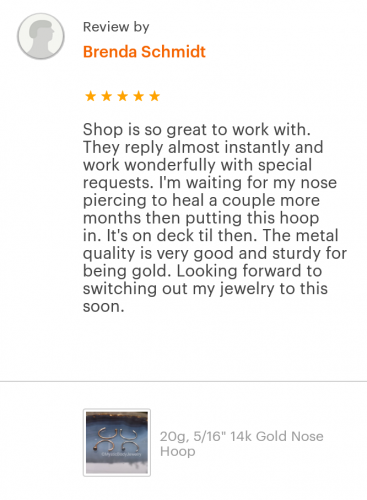 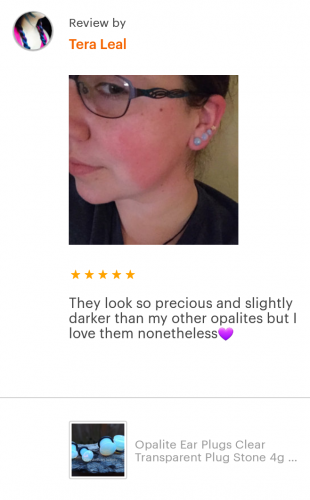 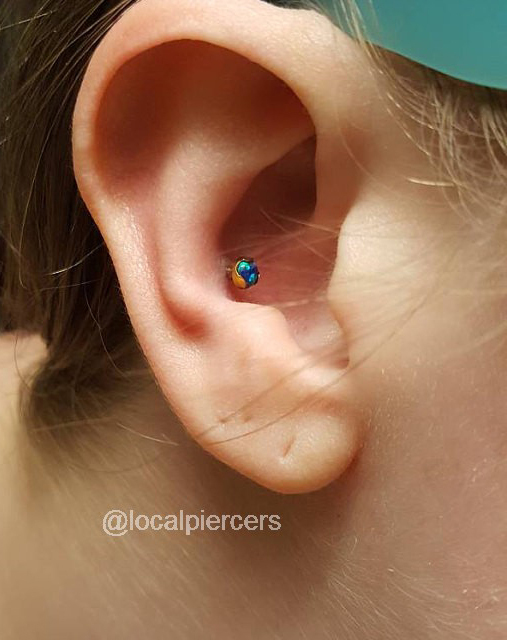 Industrial piercings are one of the most popular types of cartilage piercings and are sometimes referred to as scaffold or construction piercings. 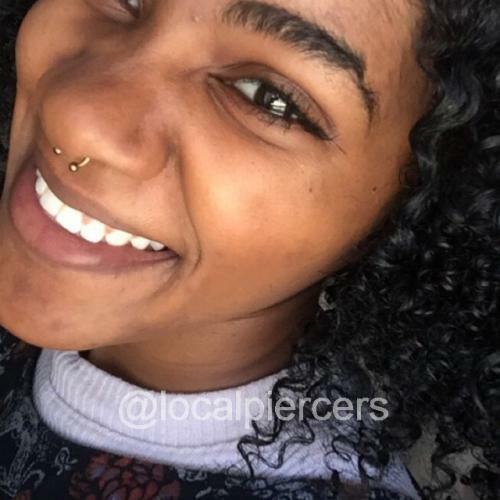 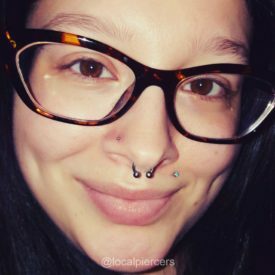 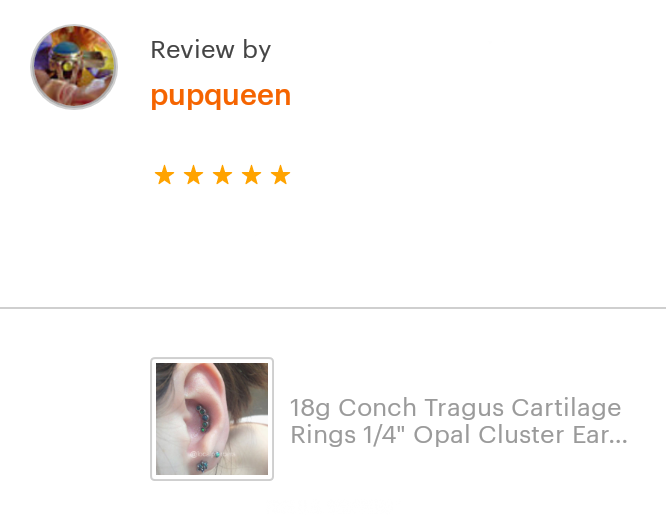 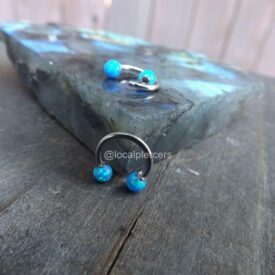 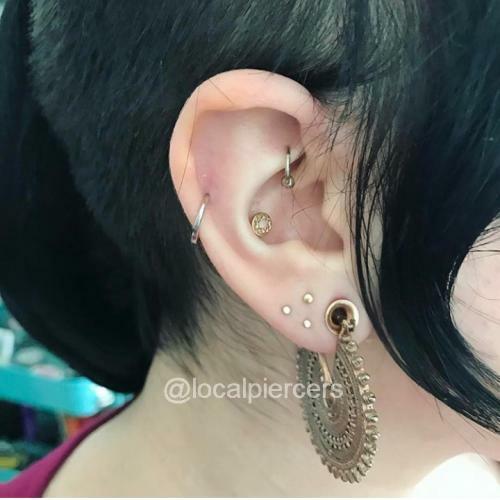 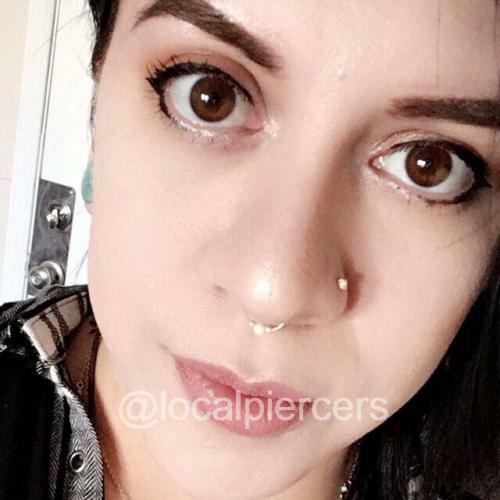 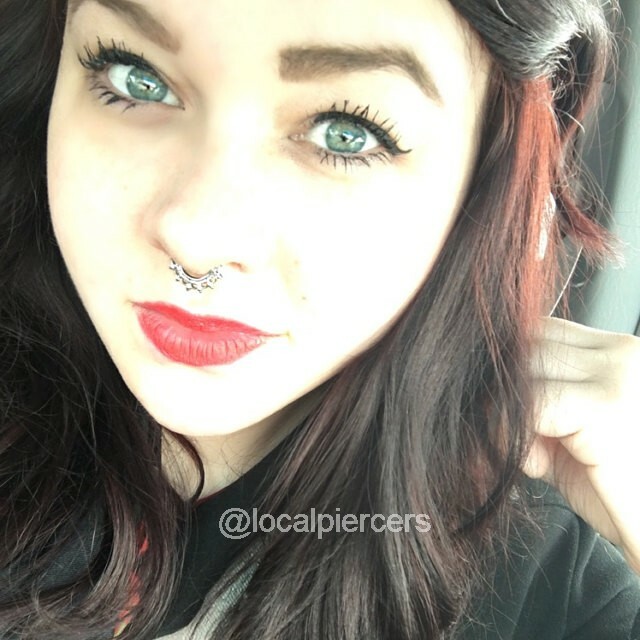 This specific piercing style requires a double perforation of the upper ear cartilage and is connected with a single straight barbell.